UN sanctions rarely achieve their objectives as they are more a tool to punish vulnerable states which resiliently refuse to adhere or succumb to bullying by the unscrupulous Powers. Millions of my fellow countrymen both inside and outside of Eritrea were once again deeply disappointed when the notorious scandal-infested and highly-failed United Nations Security Council shamelessly decided on Thursday 23rd October, 2015 to continue maintaining its dubious sanction imposed upon Eritrea for yet another year. The United Nations and its Security Council has steadily lost credibility and any form of esteem through a shocking array of corruption, incompetence, fraud, failures and scandals. Honestly, the world would be a more pleasant place to co-habit in if the UNSC did everyone a favour and sanctioned itself away from world affairs. The UNSC has a proven track record of failures in its undertakings, especially in Africa. The initial idea of levying sanctions against nations that have fallen from grace with the International Community was considered a peaceful way of enforcing International law rather than through armed engagement. 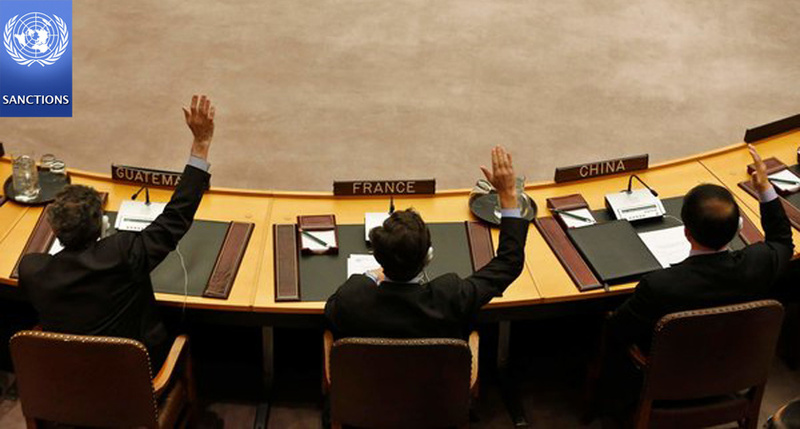 The five permanent members of the Security Council that are the United Kingdom, France, the United States, China and Russia enjoy power to either vote for, or veto sanction proposals. The sanctions imposed by the council are intended to work toward a peaceful and stable end and exclude use of military force. The intention is thus to apply enough pressure to a state to force its hand without resorting to military means. History has sadly shown though that the-powers-that-be more often than not, are very highly motivated by their own political and economic interests and other hidden agendas. Putting sanctions into place is one thing, and lifting them, something quite different. This is not surprising at all; taking into consideration that justification for the emplacement of sanctions can begin with one state of affairs and then rapidly be politically muscled or manipulated into some other wider,ridiculous scope. Nations have come to perceive sanctions as a tool used by the super powers to punish or coerce victim states for own sheer political gains. The case of Eritrea is one brilliant example: first sanctions are imposed on Eritrea mainly because the United States and her allies have concocted some ridiculous allegations about “proof” of Eritrean “alliance” with Al-Shebab, then at least two high profile American politicians admit that there exist no tangible evidence or proofs what so ever about any connections between Eritrea and Al-Shebab. Yet the Security Council still opted to renew the sanctions! The Security Council Monitoring Group on Somalia and Eritrea which has been “supervising” the enforcement of the sanctions on Eritrea has again lived up to the UN reputation of adverse lack of orientation, and of gross bias. As far back as 1995, the UN Secretary General’s Report, among other things, highlighted that objectives leading to sanctions are seldom clearly defined, and may sometimes indeed even seem to change over time; a combination of imprecision and mutability which makes a subsequent lifting of sanctions difficult for the Security Council to agree on. The UNSC Monitoring Groups very often criticize nations in their reports for lack of transparency, corruption and human rights abuses. Well, the UN itself has a very unenviable track record of its own in those specific areas. Moral should dictate that the UN speak very quietly about human rights abuses: either the Organization does nothing while genocides are in full progress like the mass annihilation of hundreds of thousands of Tutsis in Rwanda in 1994 and the slaughtering in cold blood of thousands of helpless victims of Muslim origin in Srebrenica the following year. These issues still smart the credibility of the UN even today, and that gross betrayal to humankind will be forever grimly remembered throughout the existence of the infamous Organization. When it comes to corruption, fraud and downright criminal acts, the UN also went through an embarrassing scandal of high magnitude in its “Oil-for-Food Program” which is perceived by most observers as the biggest scandal in the history of the UN, and as the biggest case of fraud in modern times. The scandal has done a lot of untold damage to the already bleak reputation of the Organization. The multi-billion dollar scandal included such irregularities by the UN and the Saddam Hussein Regime, including bribery, pay-offs and fraud, involving several UN member nations, some multi-national companies and high-profile politicians. In conclusion, UN sanctions rarely achieve their objectives; they are more a tool to punish vulnerable states which resiliently refuse to adhere or succumb to bullying and toeing-the-line set by the unscrupulous Powers-that-be for their own national and political interests and motivations. What is important is for the Eritrean People to rally behind the legitimate Government of Eritrea in unity and make the sanctions against Eritrea yet another laughable failure for UN. They are more used to failing with their sanctions than achieving any of their dubious objectives. An event more nearer home is the failure of the League of Nations, which is the predecessor of the United Nations, to force Italy out of the then Ethiopia in 1935. Their failure rate has accelerated since then.